After the successful installation of Swift Streamz, Here we are bringing the best live streaming app which was released for Android smartphones, to your Windows loaded PC. Yes I am talking about the Live NetTV for PC Windows 10. 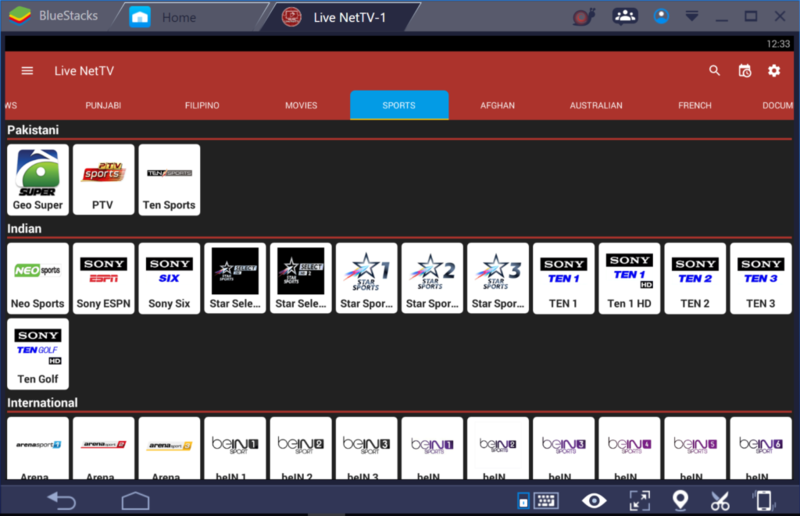 I have written a whole article about this Live NetTV app previously, Today I am here to let you know how to download and install the Live Net TV on Windows 10 or even on the older versions of Windows Xp, 7, 8 or 8.1 using the simplest BlueStacks 3 player, which is currently the best and most stable Android Emulator for PC and Mac. But before moving any further here are some of the main features of this app. Using this app you can watch Cable TV online with free streaming. The Live TV Streaming services provided by this app contains over 150+ channels from around the world in its most viewed News, Sports and Entertainment categories. The developers behind this app usually found adding more and more new channels to it so that users have everything to watch on their Android devices. The blessing of Watch Cable TV Online can be accomplished with this new app. With tons of supported channels, you can watch your local live streaming tv channel online on your Android smartphones or tablets. Its like the Internet Protocol TV Providers out there (IPTV). 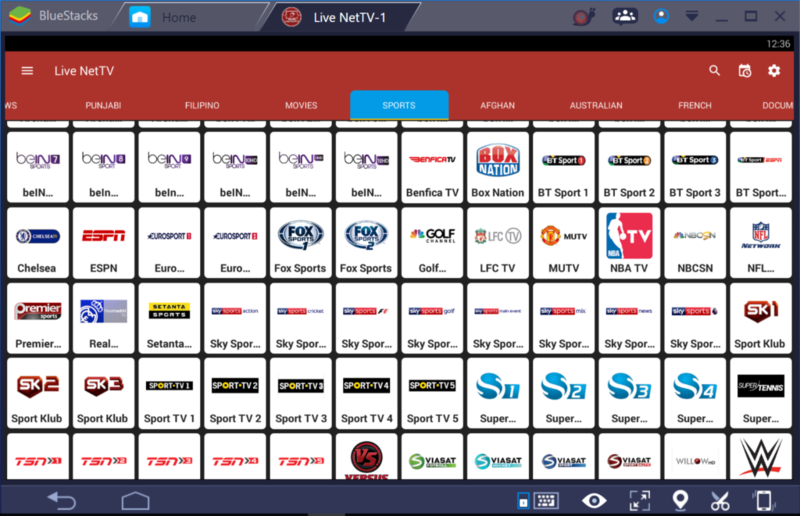 Live NetTV provides 150+ live TV channels in 7 categories which are: Sports, Entertainment, News, Cooking, Music, Kids and Religious. We try our best to keep links up to date. If you are unable to stream a link then make sure your internet is OK and that you are able to play stream other links, then report the link to us and we will fix that as soon as possible. Watch live TV Broadcast Online. Live NetTV is absolutely AD FREE..!!! We claim to be one of the very few genuine Live TV apps available on the Google Play Store. We hope you will enjoy our services. We have provided the option to choose from 4 video players to view live streaming in the app. We strongly recommend using MX player for best possible experience. We are a team of enthusiastic students, passionate to provide the best services in the market. Just give us a try and let us know if you have any issues. Even if you don’t like our app, at least let us know what we can do to improve. We Listen…Because We Care…We are here to serve you. Also Read: Best IPTV player for Windows | OR | Best IPTV Players for Samsung Smart TV. All you have to do is download the Live NetTV Apk and the Android PC integration software named BlueStacks from the links below and follow the steps to get the app on your PC. Live NetTV For PC can be installed using tons of other Android/iOS apps emulators as well. The lists contains Andy App Emulator, iPadian, Remix OS 2, AndyRoid or any other app player which you can find online. But the best one which is more stable and runs perfectly on Windows XP/7/8/10 or on Mac OS is the BlueStacks. You can download it form the given link below in the guide. Beside this there are many other apps you can download as seen in the image below. Step 1: First of all you have to Download Live NetTV Apk File from the given link below.. Or you can search it manually on your BluStacks, using the built-in Google Play Store as shown in these images. That’s it. 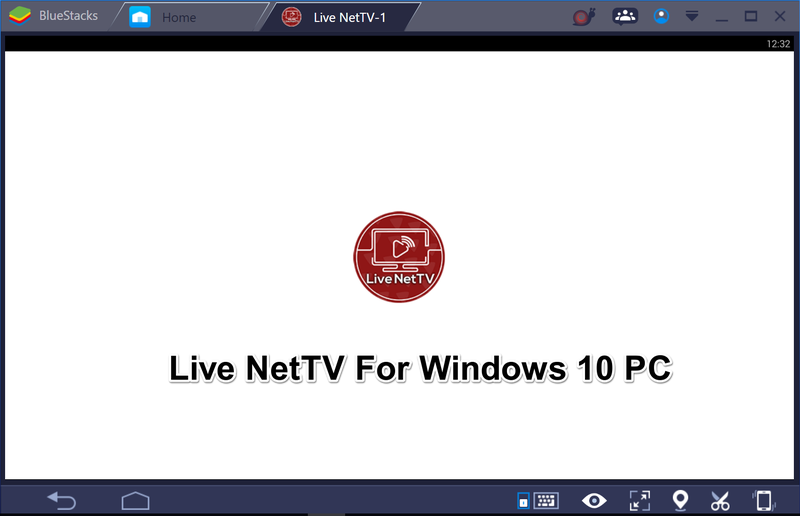 Enjoy playing Live NetTV on PC Windows 10.